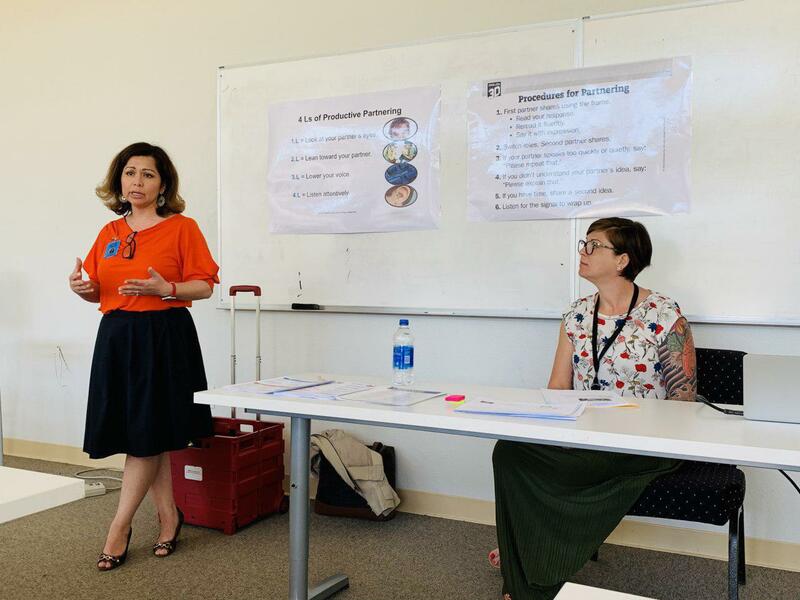 In the last week of March, the Olivet School of Language Education (OSLE) welcomed two professional instructors Maria Castillo and Erin Myles from the Hemet Unified School District English Language Development Department for a training session. 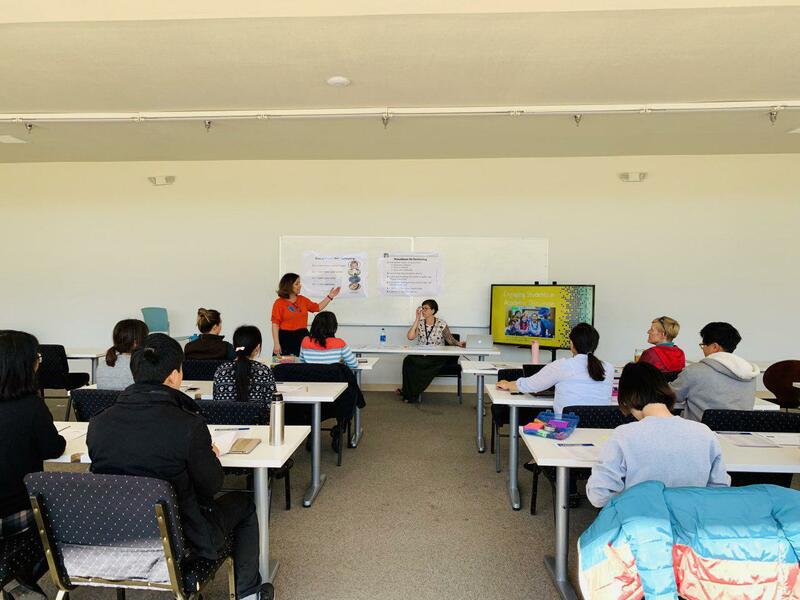 The main objective of the training was to enhance Olivet ESL students' academic discussion and attentive listening skills, which is especially beneficial for non-native English speakers. Instructor Castillo encouraged ESL students to collaborate with other students and try their best to participate in academic discussions. She cited a research showing that classrooms containing a higher number of underprivileged students tend to have teachers who talk more and students less. English language learners in many classrooms are asked easier questions or no questions at all and thus rarely have an opportunity to practice speaking in the classroom. To help students engage in more structured academic conversation, Castillo shared the "Four L's of Productive Partnering." Look at your partner's eyes; Lean toward your partner; Lower your voice; and Listen attentively. She believes that even though these principles are common knowledges, they are critically important in building a good partnership. During the training session, Castillo and Myles demonstrated ways on how to talk with a partner, state opinions, compare ideas, exchange ideas, affirm and clarify ideas, disagree and negotiate with others. Students were asked to express their opinions to practice what they have learned through the training. 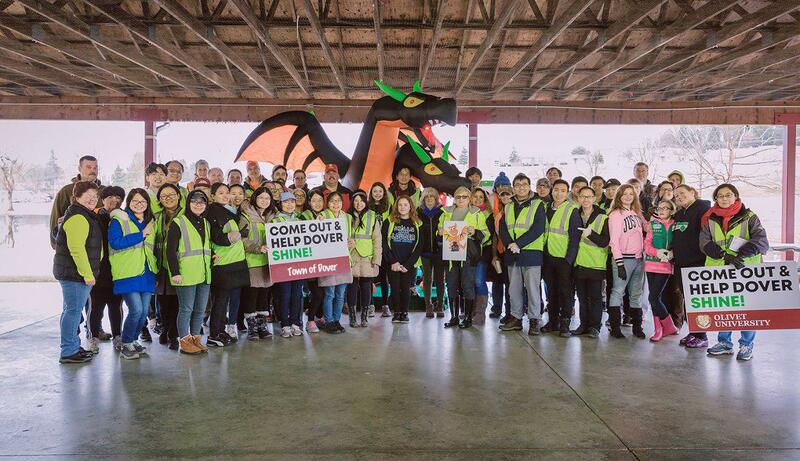 "The training helped me a lot," said ESL student Deborah Chan. "I have learned that in order to learn English well, I need to participate more in academic conversation. I love the 4-L concept and will actively apply those while I’m in class." "The two instructors' presentations were so refreshing and inspiring," said ESL student Natalia Cernovtan. "They taught us how to engage with others and express our opinions. The examples from the training have given me the confidence to converse with other students and teachers confidently."